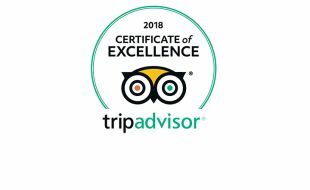 Crowne Plaza Johannesburg - The Rosebank is a proud recipient of a 2018 Certificate of Excellence award. This coveted accolade recognizes businesses with consistently high ratings on TripAdvisor. Crowne Plaza Johannesburg – The Rosebank is pleased to announce the appointment of Kenneth Ngubane as the hotel’s Executive Chef. An award-winning chef, he brings a dynamic, innovative energy to the dining experience at this luxury hotel. 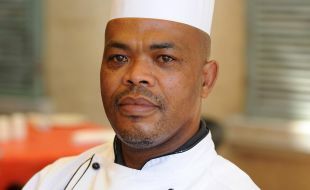 A veteran of Tsogo Sun, Chef Kenny brings over 27 years of culinary experience from around the world. He has held previous positions with leading Hospitality brands and has been part of the Tsogo Sun team since 2007. Prior to joining Crowne Plaza Johannesburg – The Rosebank, Kenny served as the Executive Chef at Tsogo Sun’s iconic Montecasino Hotel, where he enhanced his strong foundation in banquets and catering. As Executive Chef, Kenny oversees the hotel’s eight 24-hour Food & Beverage offerings, ranging from mouth watering breakfast buffets, lunches and dinners, a Café offering World Class Coffees plus a daily High Tea. Added to that is a lobby lounge ideally suited to informal meetings, a poolside snack menu, 24-hour in-room dining and exceptional Conference and Banquet venues all of which are “open for business” to both local and international patrons. On his move across to Crowne Plaza Johannesburg – The Rosebank, Chef Kenny says, “I am truly excited to showcase our talented team’s culinary skills and to continue to thrill guests with delightful dishes produced with freshly sourced produce”. For more information about Crowne Plaza Johannesburg - The Rosebank visit https://www.tsogosun.com/crowne-plaza-johannesburg-the-rosebank or +27 11 4883600. The Crowne Plaza, formerly known as the Rosebank Hotel has an entrenched cultural history in the arts and music. Being located in the upmarket premier area of Rosebank the venue has many ‘offering’ opportunities for its guests and is ideally located to cater to the next generation of art purchasers and lovers! The stylish and eclectic interior spaces of the Hotel, lend themselves as the perfect backdrop for displaying artists’ work, in surroundings that you will find refined, trendy and comfortable, as not only can you view the most amazing art exhibitions, but be entertained at the same time. The Art Precinct is located adjacent to world class dining facilities, as well as light snacks and refreshments being served. If you feel like a cocktail, the Circle Bar is a few steps away. There is plenty of safe and secure parking, and the exhibitions are open from 1000 am to 1000pm, Thursday to Tuesday. So come along, be seduced by the amazing art and find that special piece for your home. If not an art collector yet, this is the time to begin..........as you are introduced to some of the best that South Africa has to offer, with many of the artists having won awards for their achievements! Art is a lifetime investment. The ‘Launch Exhibition’ is 13th August, running until the 18th August, with an exceptional line-up of emerging artists from the Bag Factory and Assemblage Studios. Currently around half of the IHG estate is signed up to IHG Green Engage – and this number is continuing to increase. Through the use of this system, IHG reduced the total carbon footprint across all of their hotels and offices by 76,000 tons of carbon dioxide equivalent (tCO2e) in a year. This is the equivalent of providing electricity to 11,377 homes a year. Furthermore, the initiative has cut the carbon footprint by 19% per occupied room a year (2010 – 2011) and reduced energy by 11.7% per available room night across IHG owned and managed hotels. "Energy costs are the second biggest costs to hotels," says Allan Cilngham, General Manager of Crowne Plaza Johannesburg – The Rosebank. "IHG Green Engage allows each IHG hotel to track, measure and report on its energy, water and waste usage, and recommends actions that will cut energy bills without compromising the guest experience at the hotel." There are nine hotels under the IHG brand in South Africa: Crowne Plaza Johannesburg – The Rosebank; Holiday Inn Sandton – Rivonia Road; Holiday Inn Johannesburg – Rosebank; Holiday Inn Express Santon – Woodmead; InterContinental Johannesburg Sandton Towers; InterContinental Johannesburg O.R. Tambo Airport; Holiday Inn Express Pretoria – Sunnypark; Holiday Inn Express Durban – Umhlanga and Holiday Inn Express Cape Town. All these hotels are conveniently located in the main business hubs of Johannesburg, Pretoria, Cape Town and Durban. This spring Crowne Plaza Hotels and Resorts, together with SA Fashion Week, is challenging South African fashion designers to design a piece of stylish sleepwear, which both look great and help to promote a comfortable night’s sleep. The Crowne Plaza Sleepwear Design Competition 2013 will form part of the official SA Fashion Week programme and is open exclusively to designers on the SA Fashion Week database. The ten best shortlisted designs will be showcased at this year’s SA Fashion Week event from 3-5 October at Crowne Plaza Johannesburg – The Rosebank. “Crowne Plaza understands the importance of a good night’s sleep and this competition compliments the brand’s Sleep Advantage™ programme, which aims to consistently provide guests with a relaxing and restful night’s sleep. Our guests already dress for success in their daily lives, so this competition is a great way to help show how they can dress for sleep success too,” says Melissa Todd, Sales and Marketing Director at Crowne Plaza Johannesburg - The Rosebank. The judging panel will include renowned industry names such as Lucilla Booyzen, Director of South African Fashion Week; Sandra Rogers, Executive Manager for the trend and design team for Edgars; Nkhensani, Creative Director from Stoned Cherrie, the African lifestyle brand that is representative of urban culture in South Africa; and Dr N. Bhikha, Neurophysiologist and Sleep Expert at MediClinic Sandton. Entries will be judged based on four main elements: design, comfort, creativity and consistency with the Crowne Plaza brand. Contestants will need to submit the original professional sketch of their design and mood board, accompanied by a description justifying why the design is not only stylish, but also champions success for the business traveller by ensuring a good night’s sleep. “We are extremely excited about this unique project which will bring a new and interesting element to SA Fashion Week. We will be looking for designs that balance form and function, and those which are stylish, yet at the same time enable a comfortable night’s sleep,” says Lucilla Booyzen, Director of South African Fashion Week. “The dynamics of this competition certainly sparked my interest and I am confident that I will be able to offer valuable insight into the judging process by ensuring that the chosen designs will encompass elements that will promote a good night’s sleep,” said Dr N.Bhikna. Two meal/drink vouchers to the value of R500 each for Sky Bar at Holiday Inn Sandton, Rivonia Road. In order to enter, participants must register at http://www.therosebank.co.za/ and have submitted their entry via post by 9 September. IHG (InterContinental Hotels Group) today launched IHG® Rewards Club, its enhanced, industry-leading loyalty programme, formerly called Priority Club® Rewards. IHG Rewards Club will provide members with all of the existing benefits, in addition to some exciting new ones including free internet for all members across IHG’s network of over 4,600 hotels – an industry first. This applies whether members are staying the night or coming in for a coffee or impromptu meeting, starting today for Elite members and available to all members from 2014. Richard Solomons, Chief Executive, IHG, commented: “IHG Rewards Club is much more than just a new name for our loyalty programme. It builds on our existing programme, giving members a great new range of industry-leading benefits. This is why IHG Rewards Club has been chosen by more travellers than any other hotel loyalty programme worldwide. IHG Rewards Club is the world’s first and largest hotel loyalty programme. Visitors and guests can sign up free of charge and find out more about the changes and benefits online or at any IHG hotel. 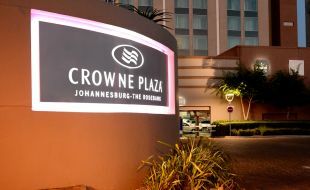 Crowne Plaza Johannesburg - The Rosebank has taken another giant step forward in perfecting the guest experience. Having recently reinvented itself according to the global rebranding movement of this exclusive brand, starting 1st July 2013, the hotel will offer complimentary Internet to all residential guests. Conference guests will benefit from complimentary data projectors and 350MB of Internet daily as a standard inclusion in the day conference packages. In addition, together with Wi-Fi partner Always On, the Crowne Plaza Johannesburg is able to provide dedicated conference bandwidth. Utilizing 50Mbps fibre connections to the hotel, conference organizers can now provide a customised, dedicated network enabling high-speed internet access for attendees - allowing seamless connectivity for conferences, events and functions. The trendy hotel in the heart of the Rosebank suburb is proud of its unique methods of adding value to meetings at the hotel. “Our constant innovation and the unfailing desire to support our clients in their journey of success leads us to this exciting new offer” says Allan Clingham, General Manager of the hotel. “Combining the best facilities, great service with additional value helps us in staying one step ahead, so our guests can feel productive, accomplished and re-energised with us” he added as he announced the exciting news. Consisting of both residential and commercial properties, the Rosebank node is characterised by its perfect balance of work, entertainment and shopping. Johannesburg’s Gautrain network is easily accessible from the Crowne Plaza Johannesburg, the door-to-door comute to the airport has been shortened to approxiamtely 25 minutes; whilst Park Station can be reached in just under 10 minutes. With numerous developments within the node underway, such as the Rosebank Mall refurbishment and the opening of the newly constructed Standard Bank offices, the future of the Rosebank suburb is predicted to be one to rival the success of the nearby Sandton suburb.